The powers that be in Annapolis sick of people whining about speed camera tickets and listening to stories about people getting bogus tickets, and have decided to respond by lifting any pretext that speed cameras are about anything but making money. So this week two state legislative committees approved a bill which removes the requirement that police review citations before they are issued, while voting down a second bill which would have banned speed cameras from being moved specifically for the purpose of increasing revenue. The House Environmental Matters committee voted on House Bill 372: "Prohibiting a speed monitoring system or a work zone speed control system from being relocated for the purpose of increasing the revenue generated by the speed monitoring system or the work zone speed control system." The bill had been sponsored by Delegate Carolyn Howard(D, Prince George's County). Delegate Howard (who supports and voted for speed cameras) sponsored the bill and testified to the committee "A government official made a statement that speed cameras were going to be moved so they could generate more revenue. That was not the purpose of the bill when it was passed." The committee gave the bill an "Unfavorable" vote, effectively killing it and permitting the practice of openly placing speed cameras for the purpose of increasing revenue to remain legal. At the same time, the Senate Judicial Proceedings Committee voted in favor of a bill which would remove the requirement that citations be reviewed by police(SB486/HB944). We previously wrote how two sponsors misrepresented a provision of this bill, by stating that it would not private contractors to approve citations. We pointed out that the Fiscal Policy Notes State : "Local Effect: Potential minimal decrease in workloads or expenditures for any jurisdiction that operates a speed monitoring system program to the extent that the bill allows local police departments to more efficiently allocate resources or to contract with an outside vendor trained in speed monitoring enforcement." "The bill authorizes a person trained in speed monitoring system enforcement who is either employed by or under contract with a law enforcement agency to sign a citation or swear to or affirm that a speed monitoring system violation occurred. Thus, in addition to shifting these duties from duly authorized police officers to other trained employees of the law enforcement agency, agencies are authorized to utilize private contractors for this service." "After talking with one officer who was assigned to the duty, he told her, "This is something someone else could be doing," she said. "I feel very confident the system is doing a good job and nobody is getting a ticket that doesn't deserve one," Forehand added." StopBigBrotherMD.org was represented at the hearing for SB486 and had provided Senator Forehand and the other members of the committee with FORTY PAGES of testimony including NUMEROUS proven, verifiable examples of speed camera errors which were documented in the mainstream press and obtained through public information act requests. The fact that citations are reviewed by POLICE review citations before they are issued is one of the key assurances the public was given that the system was fair and that the contractors who substantially control the cameras would not have the final say in who gets a ticket. However the City of Rockville, which supported HB486, has decided this requirement is inconvenient. Rockville listed as one of their reasons the fact that the bill would save their program $20,000 in revenue.... equal to about 1% of their gross ticket proceeds in FY11. - Ensuring the accuracy of speed cameras by forbidding the manufacturer of the device from certifying the accuracy of their own equipment, and requiring them to meet national standards. This bill must pass through the same house committee that just approved of placing speed cameras solely for revenue purposes. And at the rate things are going, this critical bill for your legal rights, will immediately be killed in committee as too "inconvenient" for those who want speed cameras to be "free money". Meanwhile, the Environmental Matters committee also voted down a bill which would have ended the state's practice of placing freeway workzones speed cameras in workzones where no workers are present. 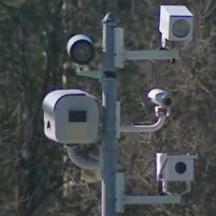 And the senate committee approved a bill that would an entirely new type of photo enforcement system, "Vehicle Height Monitoring Systems", setting the precedent for photo enforcement systems bearing $500 fines, and possibly also a precedent for other types of "XYZ Monitoring Systems" to enforce obscure, local, non-safety related regulations many motorists have never heard of. How did it become a matter not of whether we have speed cameras, but whether the system should even be remotely fair? How did the question go not from whether photo enforcement will be used where there's at least an arguable safety related purpose, to considering placing cameras specifically for explicit purpose of generating revenue. How did removing existing safeguards protecting INNOCENT motorists become ok simply for the purpose of making a program slightly more profitable? How did the question go not from whether photo enforcement will be used where there's at least an arguable safety related purpose, to considering placing cameras specifically for the explicit purpose of generating revenue? How did it become a cartoonish mad dash towards a for-profit surveillance state led by crazed local governments with dollar-sign eyes and fists full of your money? Certainly the founder of this site knew we would get here. We knew all of the presumed safeguards in the law would be eroded sooner or later, that it was never a question of having just a few cameras placed only in front of elementary schools. That's why we started StopBigBrother in the first place four years ago. But as I sit here today writing this, it's hard to accept that so many state lawmakers believe the people of Maryland will let them get away with such a callous disregard for basic legal rights that would be protected for any career criminal. It is even harder to accept that they are probably right. There are many places to lay blame, and no doubt some are more responsible than others. But to be perfectly honest the writer of this article places the blame squarely on YOU -- our readers. Specifically, those of who have sat sheepishly by complaining about your own speed camera tickets, knowing that the system goes against the fundamental principals America's justice system is based on, but CHOOSING to do nothing. Well, Maryland lawmakers do not care about what you think. They believe by now that you are never going to do anything about it. Now that the cameras are entrenched it is time to see what price your legal rights will fetch on the open market. They are sick of hearing you whine, shut up and accept your fleecing like a good sheep. And guess what: StopBigBrotherMD.org is sick of your crap too! If all you want to do is complain about your own tickets, then we have too much real work to do to listen to people B-and-M. If that is all you care about and all you are ever going to do, stop reading now and pay the damn fine.